By considering the following elements, banks can ensure that they provide a seamless application process — one that doesn’t come at the detriment of compliance. Digital banking has continued to rise in popularity in recent years, with Citi’s 2018 Mobile Banking Study reinforcing its growing dominance. The report shows that 46 per cent of U.S. consumers have increased their use of mobile banking in the past year, and 81 per cent now use their phone to manage their money an average of nine days each month. With these statistics, most banks recognise that providing a digital service is key to future-proofing their businesses. Amidst this backdrop, banks are striving to increase new account enrolments through faster, easier and lower-cost digital channels. Yet historically, there has been a trade-off between converting potential customers and the complexity of the account set-up process. Put simply, consumers want the convenience of signing up online without having to go into a branch office, but financial institutions must also comply with anti-money laundering (AML), Know Your Customer (KYC) and GDPR regulations that have typically driven new customers out of their preferred digital channel. This creates a barrier between the bank and potential customer, and especially when looking at younger prospects — 38 per cent of millennials walked away from the bank account application process because it was too long or complicated, according to a study by Jumio and Javelin Strategy & Research. Today’s web users aren’t going to tolerate a long-winded and complex process. In fact, it has been found that 38 per cent of people will not engage with content on a website if it is hard to understand or has an unattractive layout. A further 88 per cent will be less likely to return if they have had an unpleasant experience. It’s therefore important that the ID verification process does not get in the way of the user experience. Simplicity is key and we’ve found that by making small changes, such as reducing the number of steps required to verify a customer’s identity. Also, it’s increasingly important to speak in plain English and explain the rationale for why the bank is requiring an ID document or a selfie to ensure that the person is who they claim to be. Just by adopting these simple measures, modern banks have seen a 15 per cent increase in conversion rates. What’s more, modern identity verification solutions enable banks and financial institutions to modify the look and feel of the screens so they mirror the bank’s brand, making it a natural part of the customer journey. Quick wins like pre-populating forms where possible will also add to the ease of use for the customer. The ability to cover multiple markets may extend a bank’s reach and potential customer base, but if this user base can’t be addressed in a regional way, conversion rates will ultimately drop. Starting from the bottom up, banks first need to ensure authentication and verification processes are in the right languages — particularly because 75 per cent of consumers worldwide prefer to buy from websites in their own language. In addition, banks need to ensure that their verification provider can support older versions of a particular ID. 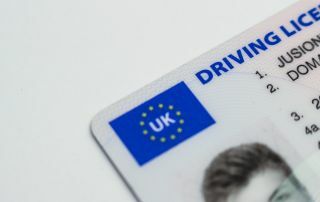 For example, there may be as many as 15 versions of a particular driver’s license — some issued five years ago, some issued 10 years ago, some printed in landscape, some in portrait, some for commercial drivers and some for driver’s permits — each with their own unique set of security features. In each region that you operate, you must have an identity verification provider that can constantly adapt to evolving ID types. If a would-be customer is declined during the onboarding process without feedback, the likelihood is, they won’t make a second attempt. But where a customer has been declined for something easily rectifiable, the bank is missing the opportunity to convert a legitimate customer during the online account setup process. Better verification solutions will provide additional information about why an ID was rejected. For example, if the customer has the ability to retake a photo of their ID if it is taken with too much glare or shot with poor lighting, their chance of completing the verification process increases dramatically. But, if the picture of the ID is rejected out of hand because of the glare (or if it’s too blurry) that customer may be forever lost. These extra details play a big role in improving conversion rates and lessening the friction of legitimate users. With a simple “yes” or “no” solution, these good users would be rejected without being given the chance to course correct. If users can rectify the mistake during the session, banks are going to see a far higher conversion rate. In addition, when online solutions return a score that falls into the middle-ground (essentially a “maybe”), these transactions have to go through manual review, adding hours, if not days, to an application. The browsing habits of consumers have changed and consumers now use a range of different channels to access the web. The onboarding process needs to accommodate this. While more and more traffic is moving towards mobile web, especially in developing countries where everyone has just a phone, we can’t forget the demographic that still prefer to use their desktop webcam. This means it’s important to offer truly omnichannel solutions to ensure all steps of the onboarding process can be done seamlessly whether on web, mobile or tablet or desktop. If an ID verification solution only supports smartphone image capture and excludes other channels such as desktop webcams, these vendors are excluding large market segments who are more comfortable using this technology. Banks have to be able to support different compliance and regulation rules, from AML to KYC. With GDPR, organisations that collect personal information of its consumers need to provide detailed rationale on why an application was denied and requires data controllers (i.e., any company that collects personal information of EU citizens) must be able to give a reason within 30 days of request. Importantly, banks need to be aware of any local regulations too. For example, German authorities require masking particular data points (ID number and Access Number) on IDs to protect the end users. Better online identity verification solutions mask these data points accordingly, which means the data points are not stored or returned to businesses, thus helping businesses remain compliant. The onboarding process should be an opportunity to prove the benefits of accessibility and ease of use — not be the stage at which potential customers drop off. With a quality online identity verification solution in place, banks stand to convert more customers while also offering a user-friendly onboarding experience that sets the tone for future interactions and builds a strong customer relationship right from the outset.